Hiya guys! How's it going today? I don't know how it's been for you guys, but winter in Jersey has been nonexistent. Up till last week we've had weather in the 60s. Now this is the kind of winter I could get used to. Don't get me wrong, I love me some snow but Christmas is over so I'm over it haha. Luckily for those of us who are over the season Turtle Tootsie Polishes has just what we need. Say hello to the I Hate Winter Trio! The I Hate Winter Trio by Turtle Tootsie Polishes has been released as of yesterday January 6th and is now available for purchase. Each bottle retails for $10.00 each and the full-size trio retails for $25.00. There are plenty more purchasing options, so I'll have that at the end of this post. Sub Zero Chill can be described as a light blue scattered holo polish with holo silver glitter polish. Unfortunately I'm not a fan of intense shimmer polishes like this one, so it did nothing for me personally. I do have to note though I really like the silver glitters in it, they have a beautiful nice holo reflection. The formula is on the sheer and thin side, so it needs a bit of layering for an opaque finish. The best way to apply this polish is to use the sponging technique. I think I will definitely try to sponge less next time because the glitter in this polish tends to clump. Shown here is two coats sponged over a white undie and sealed with a glossy topcoat. Winter Blues can be described as a linear holographic blue polish. This is without a doubt the star of the trio for me. My photos are taken indoors, but rest assured the holo in this beauty is really strong. The formula is really great, but has a sheer first coat. It builds up really smoothly, giving you a rich opaque finish easily. Shown here is two coats sealed with a glossy topcoat. Blizzard Blahs can be described as a white shimmer polish. Initially I wasn't sure how I was going to feel about this polish, but it definitely won me over in the end. Shimmers are a love and hate relationship with me as you can probably tell, haha. The formula has a really sheer consistency, but it ends up evening out on the nail. I do feel this would best be suited worn over a solid base color, but it does become opaque within a few layers on its own. Shown here is three coats on its own and sealed with a glossy topcoat. Along with the release, Chrissy also released a special limited edition polish for her cancer-free anniversary! Here's 4 Years & Counting! 4 Years & Counting can be described as a a muted pink, almost plum-purple, scattered holographic polish. Words cannot express how much I adore this polish! It's absolutely gorgeous and has just the right amount of subtle holo. Formula and consistency have a great balance, not too thick or too thin. It's really opaque, impressively so. I felt like it almost didn't need the second coat. Shown here is two coats and sealed with a glossy topcoat. To celebrate being a 4-year cancer survivor, you can purchase the '4 Year Survivor' pink limited edition color at a discount with this listing. While supplies last. I'll have the pricing options at the very end of the post! Overall I think this is a really great trio, especially for those who love shimmers! Turtle Tootsie Polishes never disappoints when it comes to holos for me personally, so I definitely recommend Winter Blues hands down. So tell me guys, which one is your favorite? 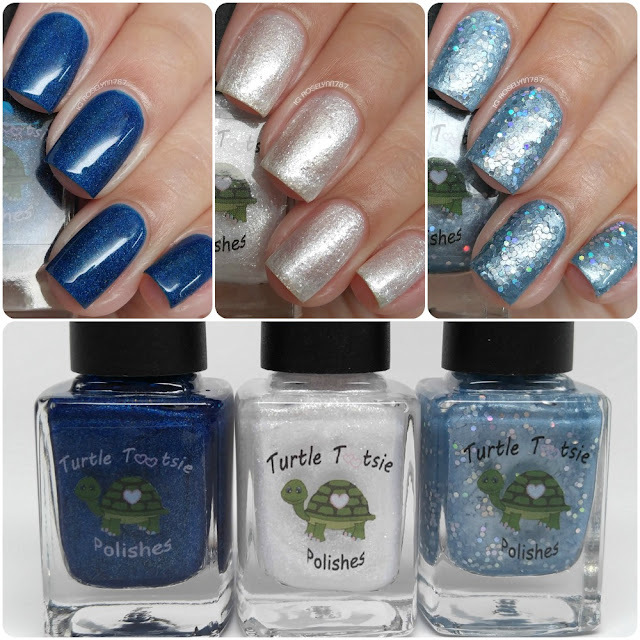 The I Hate Winter Trio by Turtle Tootsie Polishes has been released as of yesterday January 6th and is now available for purchase. Each bottle retails for $10.00 each and the full-size trio retails for $25.00. You have the option of adding on the anniversary polish for an additional $5.00 in full-size. The mini trio retails for $15.00 or $18.00 if you decide to add-on a mini anniversary to the combo. Individually each polish can be purchased in mini-size for $6.00. 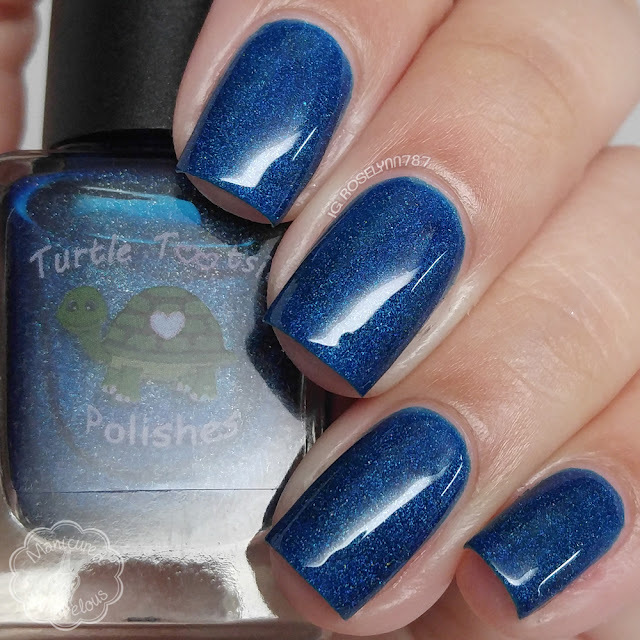 Lots and lots of purchasing options for all our budgets, love this about Turtle Tootsie Polishes. That pink is so gorgeous!! I love Winter B!yes and 4 Years and Counting. Winter Blues is super pretty! I love the deep blue holo and I'm glad this is a star for you! Winter Blues is perfect! I love jelly holos like this. I agree, I love that she has the option to pick up mini sizes - it lets me try more things - I picked up a couple polishes from the trio and 4 Years and Counting. I loved this trio, but 4 Years is phenomenal! the pink and the blue are lovely! Winter Blues is definitely my favorite here!